Matrigo affiliate system provides extensive reporting capabilities for affiliate to measure and optimize performance of your campaigns. The information is almost real-time. 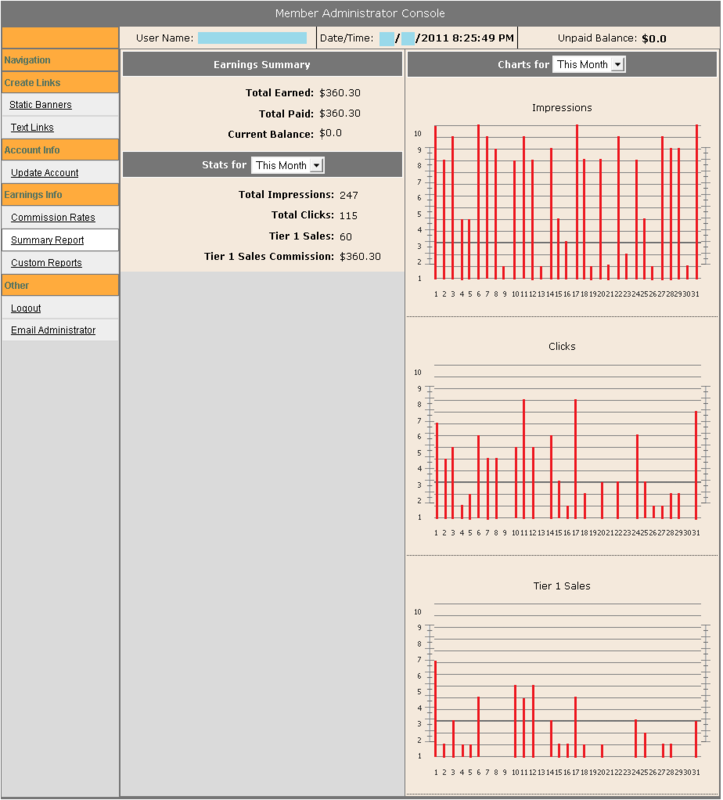 Below is an example summary report you can view by logging in to your affiliate account. This report clicks, leads, sales and commission statistics for your affiliate account. Copyright © 2011. Matrimonial Services for all Indians.